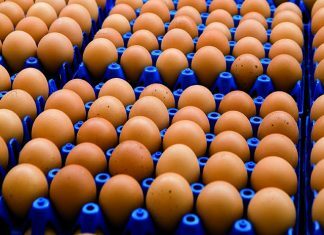 Home Poultry Facts Feeding Can xylanase inhibitors affect the efficacy of xylanases in poultry diets? Can xylanase inhibitors affect the efficacy of xylanases in poultry diets? Xylanase inhibitors are reported to be widely present in cereals, and can influence the assay of supplemental xylanases in feeds. In the present study, a method was developed for the indirect quantification of xylanase inhibitors. 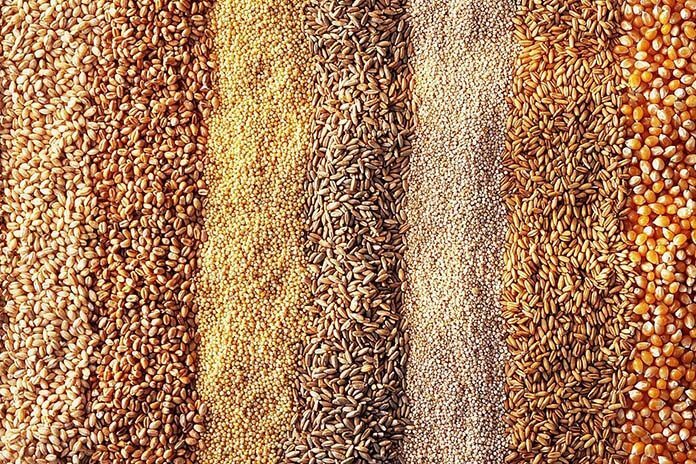 This method demonstrated that commercial feed xylanases differ considerably in susceptibility to xylanase inhibitors, and that many of the cereals and all feeds tested contained varying levels of inhibitors. These inhibitors were largely unaffected by processing of the feed up to 90 °C, and partly survived passage through the broiler gut as far as the ileum. 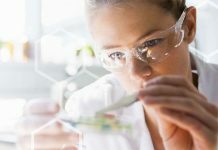 Thus, the variations in the level of xylanase inhibitors and in the susceptibility of xylanases could help explain some of the differences in efficacy between commercial products in animal trials. Xylans and cellulose are the predominant fibre-polysaccharides in animal feeds, and xylanases, together with phytases, are the most widely used supplemental microbial enzymes in feeds. Proteinaceous xylanase inhibitors (XI), primarily attributed to three types, Triticum aestivum xylanase inhibitor (TAXI), xylanase inhibiting protein (XIP) and thaumatin-like xylanase inhibitors (TLXI), are found in a wide range of plant feedstuffs, particularly cereals grains such as wheat, barley and maize. These proteins inhibit the activity of family 10 and 11 xylanases from both bacterial and fungal sources. As such they interfere with the analysis of xylanases in-feed, introducing uncertainty and reducing accuracy. However, it is not known if these inhibitors directly reduce the effectiveness of xylanases in the animal digestive tract, and thus could result in differences in efficacy between xylanases and responses in animal trials. The current study adapted a quick method for the indirect determination of XI in feeds. This method was used to determine the susceptibility of a number of commercial xylanases to XI, and investigated whether feed processing or passage through the broiler digestive tract influences XI activity. A variation of the standard Megazyme Xylazyme AX xylanase in-feed assay method (McCleary and Monaghan, 1999) was used (pH 5.0 in acetate buffer, 50 °C, 60 min, OD at 590 nm). The test cereal or feed was extracted (10 g + 80 ml) into pH 5.0 acetate buffer, centrifuged (2000g, 10 minutes) and the supernatant titrated into the assay mixture to give an effective final feed concentration of 0-125 mg/ml. The concentration of feed giving 50% xylanase inhibition was calculated. A number of cereals, including wheat, barley, maize and sorghum, were analysed for xylanase inhibition, and several commercial xylanases were tested for susceptibility to XI. A typical xylanase-free wheat-soyabean meal (SBM) broiler grower diet was conditioned for 30 sec at 70-90 °C, followed by pelleting in a semi-commercial pilot plant. 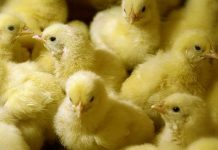 The extracts from these feeds were analysed for xylanase inhibition Another xylanase-free wheat-SBM broiler grower diet was fed to chicks and jejunal and ileal digesta were collected at 21 days of age. After freeze-drying, these digesta samples were analysed for xylanase inhibition. Analysis of a number of feedstuffs, including wheat, rye, barley, maize and sorghum, and broiler feeds established that most cereals and all feeds tested contained XI as demonstrated by xylanase inhibition. However, the commercial xylanases tested varied considerably in susceptibility. 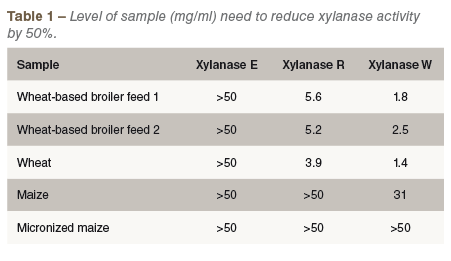 Some xylanases, such as Xylanase E, were not inhibited by any of the extracts tested, while others such as Xylanase W were inhibited by wheat, maize and feed extracts (Table 1). Conditioning at 70-90 °C followed by pelleting through a pilot feed plant had no influence on the ability of the extract to inhibit wheat XI-susceptible Xylanase W, with feed at 12.5 mg/ml resulting in ~70% inhibition, irrespective of processing conditions (Figure 1). Extracts of a wheat-based feed fed to broilers and sampled at the jejunum and ileum confirmed that the XI survived sufficiently through the gut to inhibit xylanases R and W at both digesta sites (Table 2). There appeared to be a small inhibition of xylanase E at the jejunum, but this could be due to the presence of proteases which may have partly degraded this xylanase. The method developed for indirect XI analysis proved robust, allowing the rapid detection of xylanase inhibition activity in feedstuffs and feeds. The commercial enzymes tested varied considerably in susceptibility, with some not inhibited, some inhibited by both wheat and maize extracts and others inhibited only by wheat extracts. All the feedstuffs and feeds tested were shown to have XI, with activity varying both within and between feedstuffs. Micronizing and autoclaving eliminated xylanase inhibition, as did heating the extract at 90 °C in vitro for 30 minutes, as might be expected for a proteinaceous inhibitor. However, conditioning feed at 70-90 °C for 30 sec followed by pelleting had little effect on the XI activity in the feed tested, showing that xylanase inhibitors are very likely to be present in the majority of xylanase-supplemented feeds as fed to animals. The survival of a significant fraction of these inhibitors through the gut as far as the ileum would further suggest that they could influence the activity of a number of supplemental feed xylanases in vivo. This may account for the differences in efficacy seen between xylanases, and the variation in animal response seen in xylanase trials.